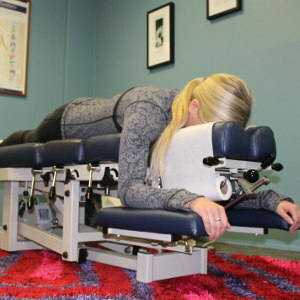 At Back to Living Chiropractic, our chiropractic team uses principles of brain and spinal health and remodelling to help you lead a healthier life. There may be numerous benefits involved in chiropractic care for you, and we seek to help you live free from pain without having to resort to medication. We’ll do what is indicated as the best course of action to get you back up and running. As we rebuild your health, you’ll feel more resilient and be able to return to your normal daily activities. Our patients have suffered from an array of conditions that often stem from the many stressors in life, such as migraines and headaches. Although we run an office that’s comfortable and relaxing, we’re serious about providing you with the healthcare you need. Your plan will be tailored to your individual goals and what’s most suitable for your body. Regular re-evaluations ensure that we make any necessary changes to your plan, and the frequency of your visits will depend on what’s best for you. With children, those who are frail or don’t like hearing a sound during the adjustment, we can use lower-force methods. We use a gentle touch with our paediatric patients and only the pressure used to check the ripeness of a tomato is necessary.Contact us today to get started! Schedule a 15-minute complimentary consultation with our chiropractor to find out more about what we may be able to do for you.